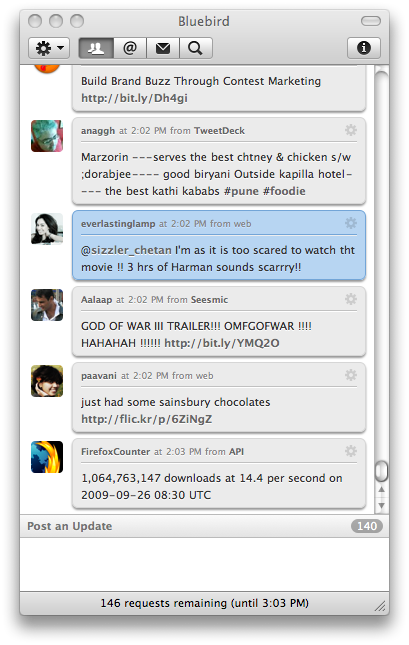 Bluebird is an awesome app for mac users with some amazing features that would make it one of the best clients for mac twitter. 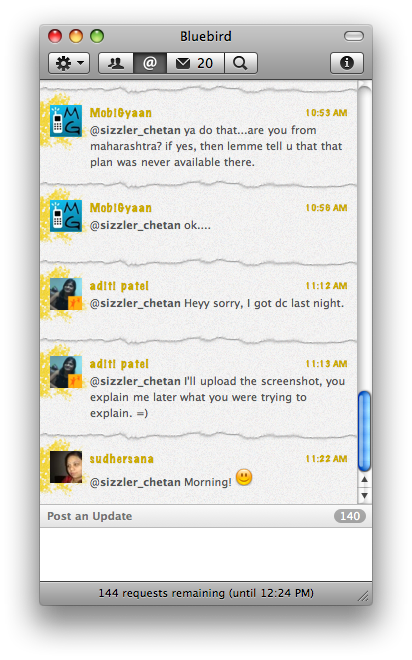 It has all the features for multiple users, amazing themes, and better twitter experience. Its an independent app and doesn’t require adobe air to run. 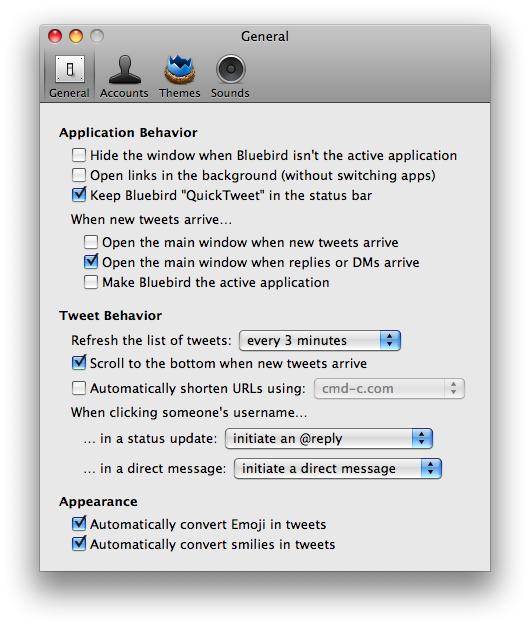 Various options in the preferences section like Hiding the application when not active, open links in background, make bluebird active when the new tweets arrive. And you can set the time interval for the shortening of URLs. 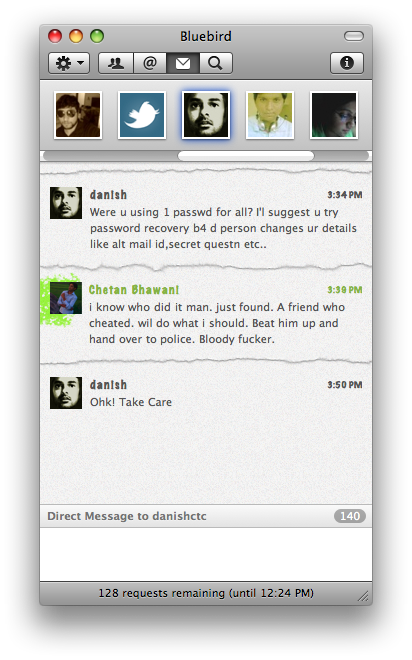 Shortening of the URLs automatically, initiation of the tweet with some @ symbol when replying to someone etc. Various options for a tweet – There are many options for a tweet in your timeline, like Replying to it, Retweeting it, Adding to favorites, getting the permalink of the tweet, direct message the user, open the twitter page or the web page of the twitter user. These options appear beside every tweet on your timeline in the main window of Bluebird app. There are various other options like sound settings on twitter new tweets loading, and also you can search for members, and check the complete profiles, conversations with them etc. in a separate window away from the main one. 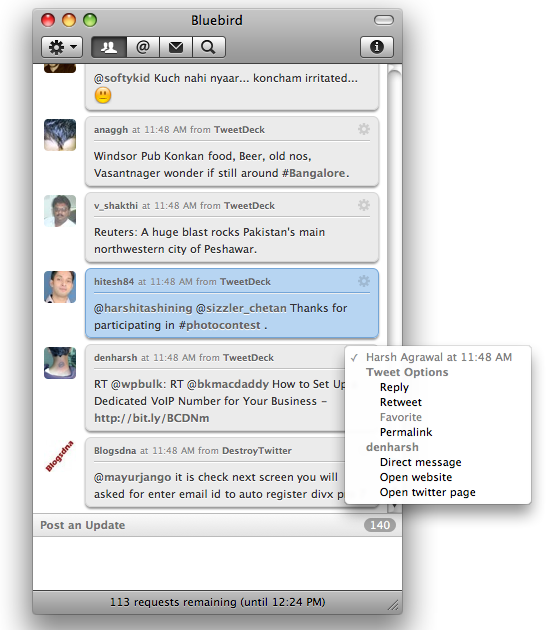 how to delete in Bluebird 1.0 beta 2.1 (0.921) a member entry in the direct message window? Yes, how to delete tweets in Bluebird? There are various other options like sound settings on twitter new tweets loading, and also you can search for members, and check the complete profiles, conversations with them and these are the new enhancements which i liked a lot. This app doesn’t even work! Would not let me search, would not let me add a valid verified account even though the password was exactly right and verified. Let me know when it is fixed.